I have been a little M.I.A. on this blog lately. 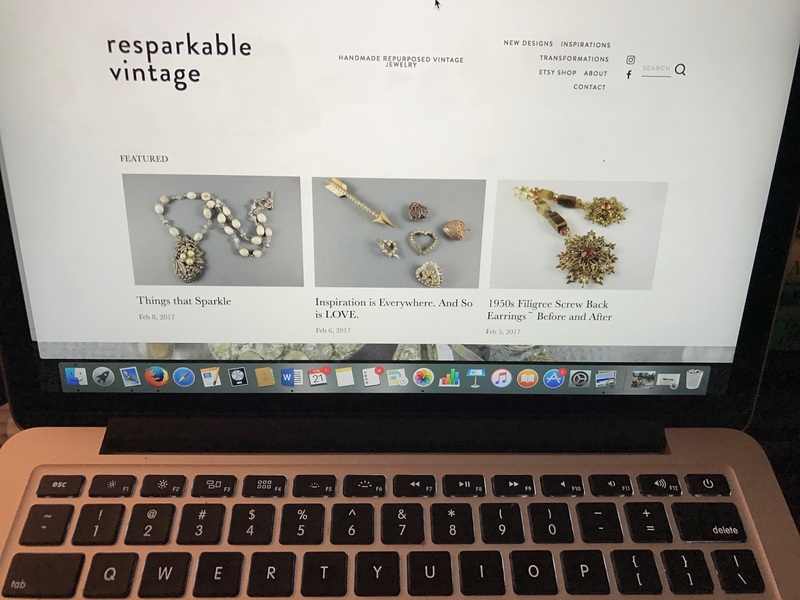 Because I've been busy building my new website that will be all about vintage jewelry and my repurposed vintage jewelry creations. It's just about ready to go, but I have a few minor little things to do. And then of course, I want to sit on it a few more days after that before it goes LIVE. I will always keep this blog at this website. Because for one, I've had it here for so long. And also because it feels like the home I always return to. I can talk (write) about all of it here. Sometimes it's about jewelry, sometimes it's about music, sometimes books, sometimes it's about goals, etc. It's very much of a hodge podge free-for-all blog. And I want to keep it that way. Here. But I thought I'd create and maintain a website and blog that's focused on all things vintage jewelry. It seems like an endless topic that I never get tired of learning about. And talking about. You'll still see some jewelry stuff here. But, of course, other random things too. I can't contain myself here. And I love that I really don't have to. 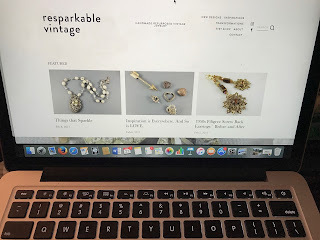 If you'd like to follow my Resparkable Vintage jewelry website, and I sure do hope you will, I'll let you know when it's live soon. And it will be soon. For real. Just wanted to let you know, I'm NOT "Missing". But I AM "In Action."